UPDATE: It was brought to my attention that the original link I had for the pattern was to a copyright piracy site where they copy patterns from magazines and claim them as their own. I had no idea this was the case and I sincerely apologize for leading anyone to this site. I have updated the link below to give credit to the original creator of this pattern. I have been having so much fun crocheting different gift card holders! I’ve made this cute Mini Shopping Bag and these Candy Cane Bags so far. 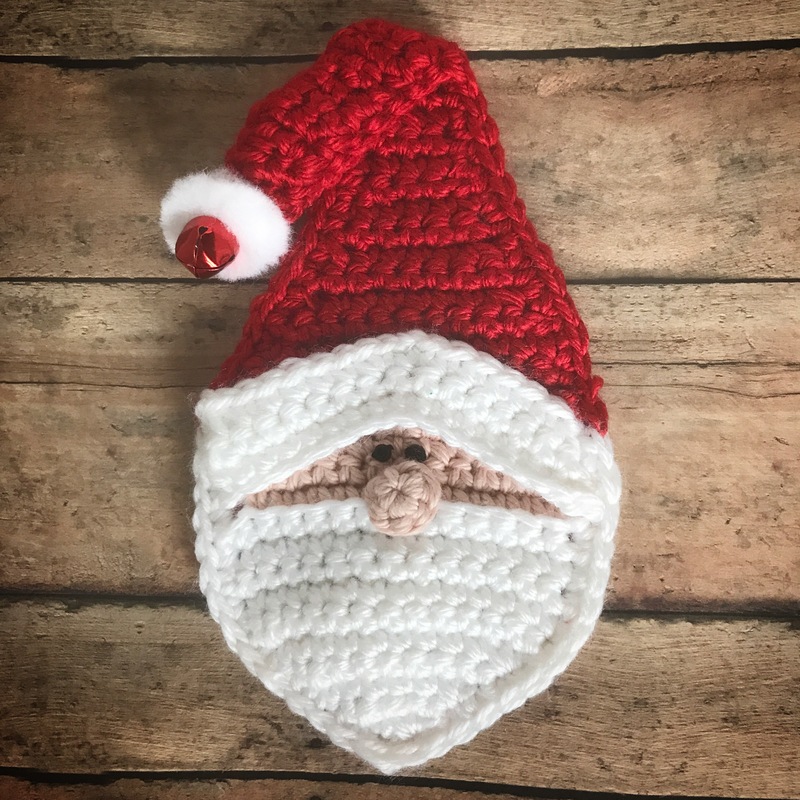 And now I’ve made this adorable Santa that can also double as an ornament for your tree! The pattern can be found here on Ravelry. 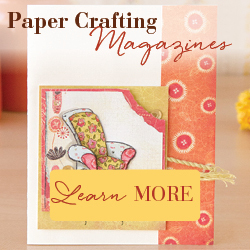 Santa’s Got a Secret was published in the December 2015 issue of Crochet World Magazine. 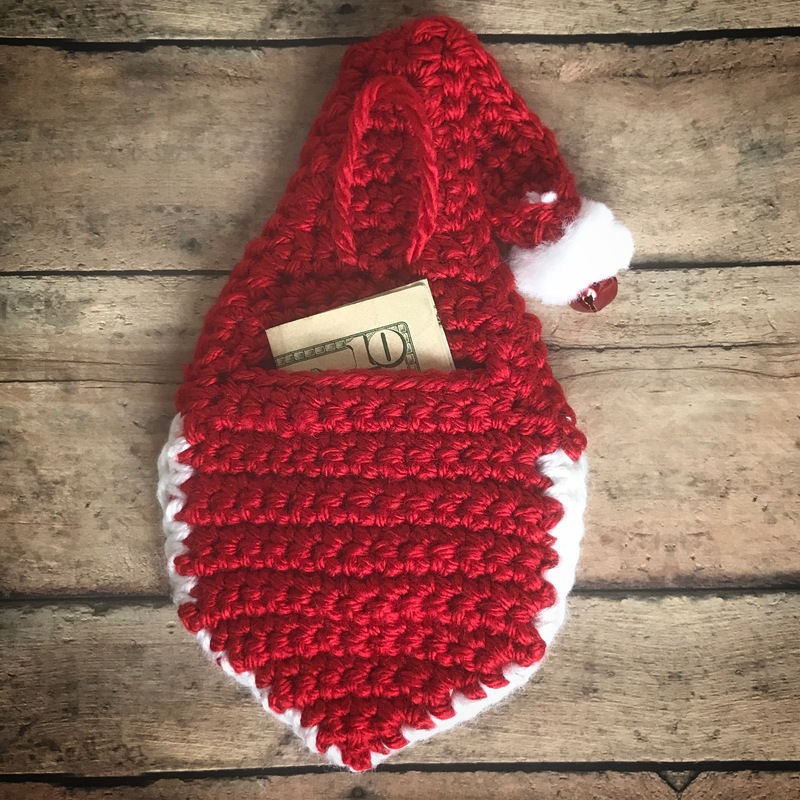 I used Red Heart Soft yarn in Really Red and White with I Love This Cotton yarn from Hobby Lobby in Warm Blush for Santa’s face. I used two small black beads for his eyes in place of the cabochons. I sewed them on with black embroidery floss before I crocheted the pieces together. I also put a tiny stitch with white yarn in the center top of the white trim on the hat to keep it in place. I left out the chenille stem (because I didn’t have any!) and crocheted all the pieces together. Then I folded the tip of the hat down and tacked it in place with red yarn. I am absolutely terrible at making pom poms, so I used a pre-made 1-inch one that I had on hand. I threaded white yarn through the jingle bell and then threaded both ends through the pom pom. The pom pom is tied to the tip of the hat. Then I added a hanging loop with red yarn to the back. Santa is perfect for giving a gift card or cash – and they end up with a cute ornament that can be used for years to come! This is not my pattern but there is a link to the pattern in my blog post. Just click on “here at knitted-patterns.com” and it will take you right to the pattern. Thanks! When I go there. It shows me the phot and info for yarn on ravekry but not the pattern.